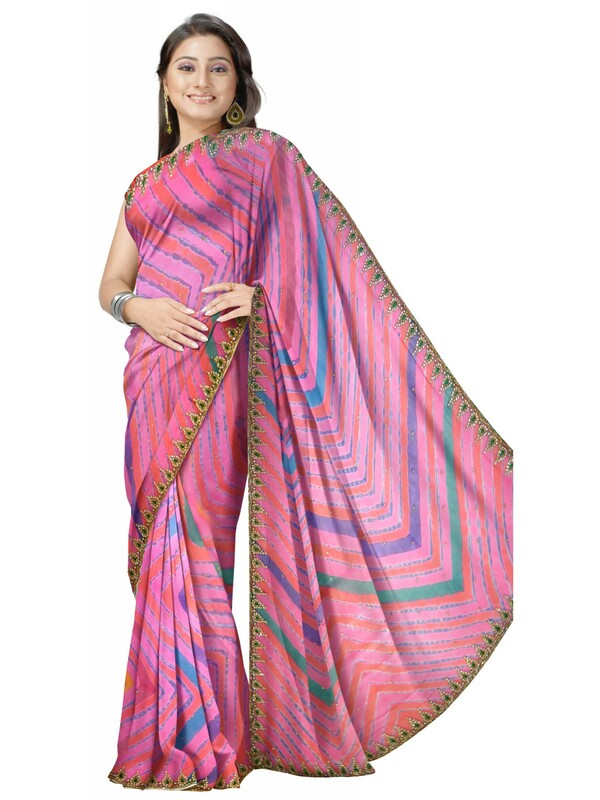 This beautiful pink color designer look leheria saree is made on georgette fabric. It has beautiful Cutdana, resham & swarowski work all over the saree in border. 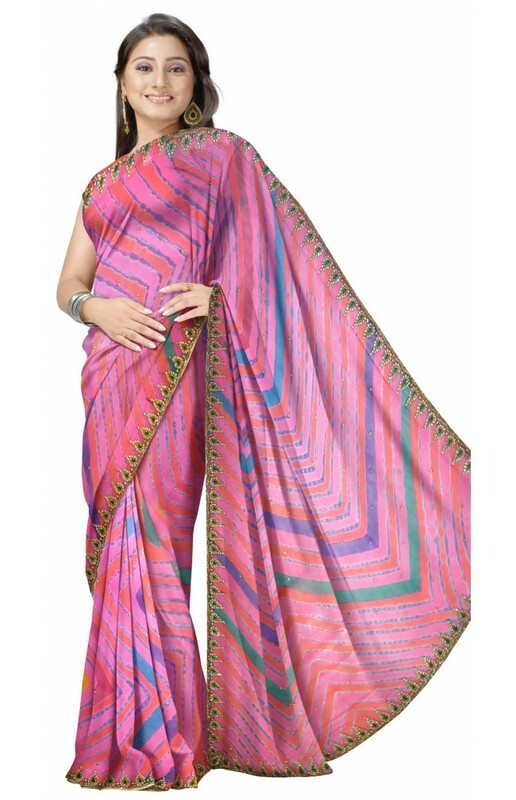 This designer leheria saree is perfect for any occasion. Check out our designer sarees collection which are colourful and light weighted. This saree has pink color blouse of crepe fabric with Cutdana, resham & swarowski work.